What do the Hubble Space Telescope, Buffalo Bill, and the Spanish Inquisition have in common? How do margarine's strange origins tie it to plankton shells, receding stars, hot chocolate, and the first solo Atlantic flight? 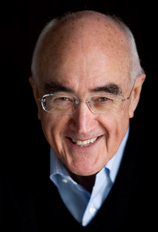 If you have ever seen James Burke's documentary TV series Connections or read his column of the same name, you know how he brings together these seemingly unrelated ideas and innovations, spinning a vast web of knowledge. Connections provides an exhilarating and often amusing romp through the labyrinths of days past; a fantastic view of the technological trail of evidence from one event to another and from one idea to another and how each relates to the next. Mr. Burke is perhaps best known for his highly-acclaimed television series, Connections, which examined how different technologies evolved over time. The next series, The Day the Universe Changed, looked at critical discoveries and technological innovations that have had a profound and lasting impact on societies, economies and lifestyles over the last several hundred years. Mr. Burke authored companion books to both series, which have been viewed in more than 40 countries around the world. Connections drew the largest audience in history in the US for a documentary series. It is also part of the curriculum at approximately 350 colleges and universities. James Burke's Connections will give your listeners another reason to return to your station every day.